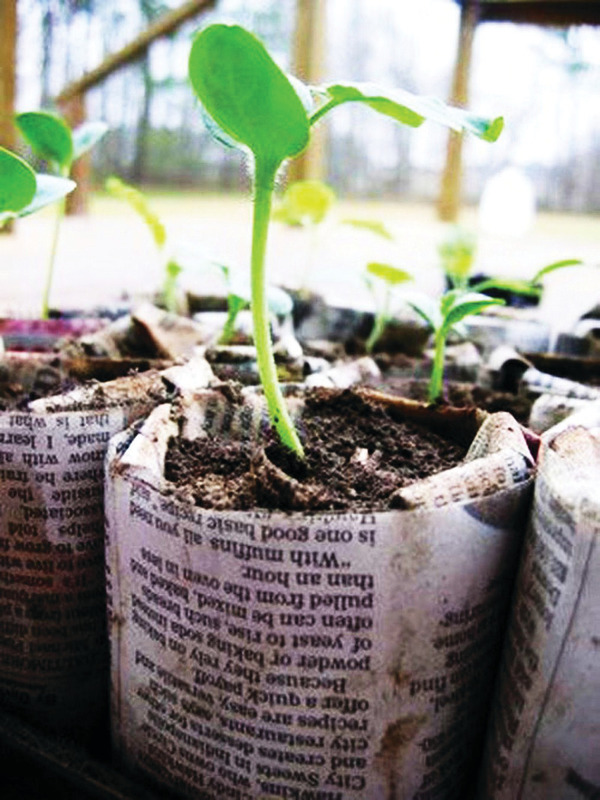 Celebrate Earth Day by giving back to the planet with upcycled projects guaranteed to make the planting process sow easy. Upcycling is the latest eco-lifestyle trend, taking the notion of simplicity and conservation to new and greener pastures. The procedure is distinct from recycling. It does not involve altering the original DNA of a product into a new form, rather, it gives it a new lease on life by upgrading it to another purpose entirely from that for which it was created. Upcycling encourages “Out of the Box” thinking by challenging students to produce unique projects while keeping the integrity of the recycled material. The following undertakings are a fulfilling and creative step towards preserving our planet for future generations, while kick-starting the arrival of spring. Start seedlings indoors to get a jump-start on the growing season in hardier planting zones. 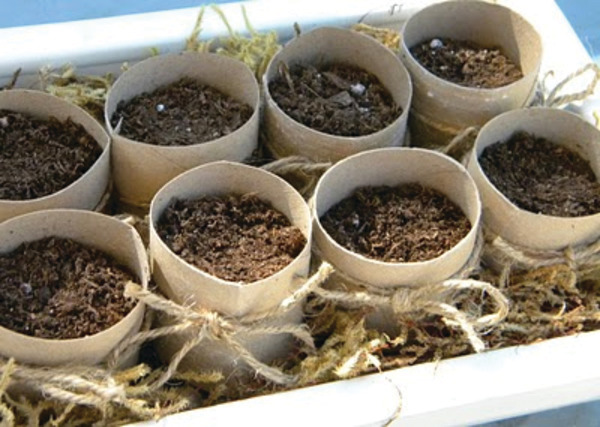 Using natural, biodegradable containers to coax seedlings to develop provides compost for the soil, reduces waste and does not disturb delicate roots in the relocation process. Sow seeds according to package instructions and soak large varieties 24 hours prior to planting. Use a sterilized seedling starter soil mix. 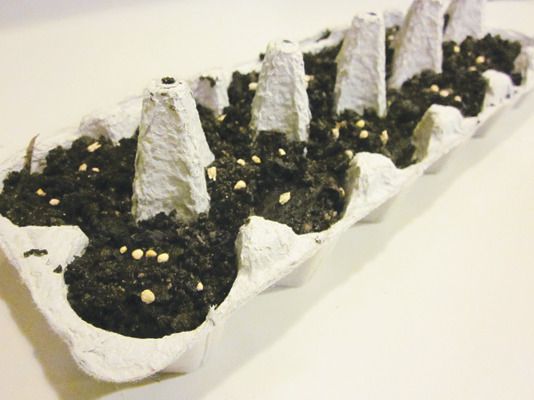 Cover planted seeds with plastic and place in a cool, dark area to encourage germination. 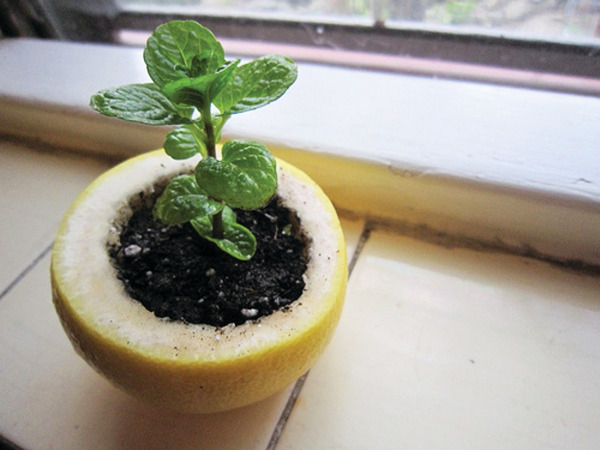 Once shoots have sprouted, transfer to a sunny location and rotate periodically to ensure even growth, and keep soil evenly moist with regular misting. Transfer seedlings in their containers directly into soil outdoors when all risk of frost has passed, and facilitate root growth by puncturing the vessels. Upcycle orange, grapefruit, lemon and lime halves into organic jardinières. 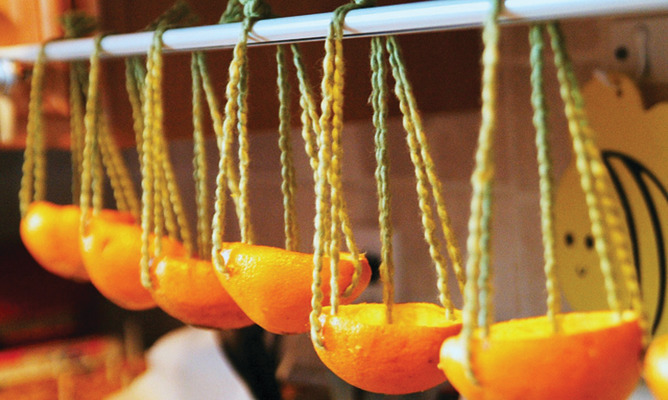 Add jute or sisal to convert the citrus containers into hanging planters to save on space while buds are maturing. Flatten toilet paper or paper towel rolls and cut 4 – 1” slits on one end. Open tube and fold flaps to form bottom. Fill with potting soil and place in tray. Wash egg shells and create drainage holes with a needle. Set prepared eggshells in egg carton with top removed. 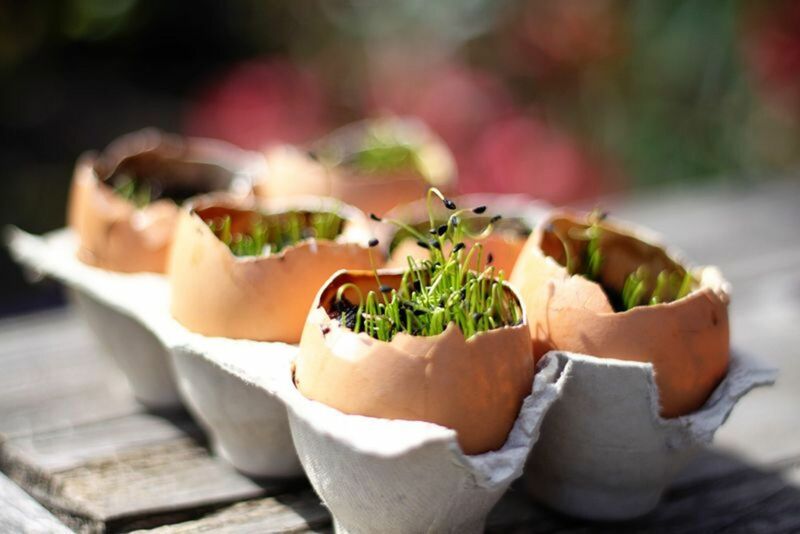 Remove carton top and pierce drainage holes in each eggcup before planting. Separate into individual cups for outdoor planting. Newsprint is a natural outdoors. Seed tapes, seedling pots, seed bombs and weed barriers are simple and effective ways to enhance your outdoor space. 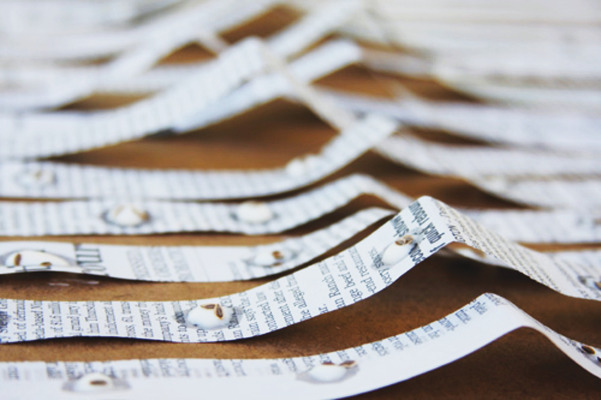 Although newspaper is highly recyclable, we can still strive for a tree-free lifestyle and save three mature trees each year by reading newspapers online. Perfectly straight rows, perfectly spaced apart, and perfectly biodegradable. Awesome gift-giving project. Mix ¼ cup flour and enough water to create a paste consistency. Refer to package for seed spacing and dab paste onto strips of newsprint with a Q-tip or small paint brush. Drop seeds onto the paste and cure for two hours. 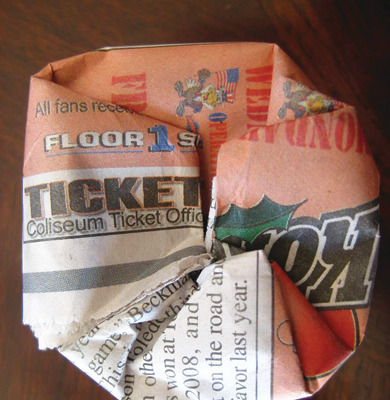 Create personalized gifts by rolling and wrapping tape with recycled tissue, wax or magazine paper. Include planting instructions. 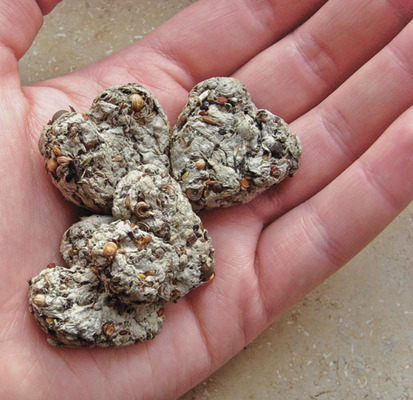 These floral bonbons are a blast to make and a joy to toss into the garden. Use silicone tray molds to create a variety of shapes and sizes. Place shredded newsprint and warm water into a blender and puree. 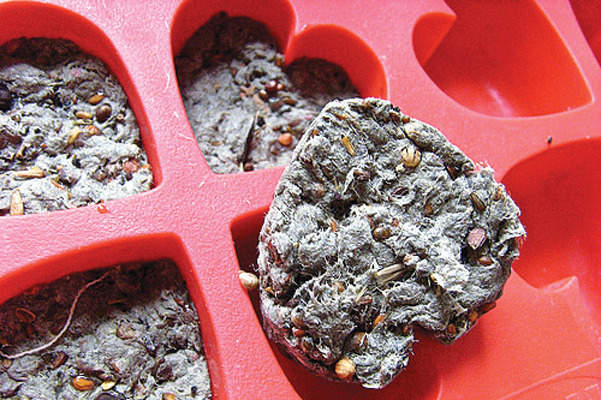 Add approximately one teaspoon of seeds for every two sheets of newsprint. Line a sieve with cloth and strain mix, squeezing out as much liquid as possible. Press mix into moulds and remove in two hours to dry. Use small recycled jars as templates for shaping these little satchels. 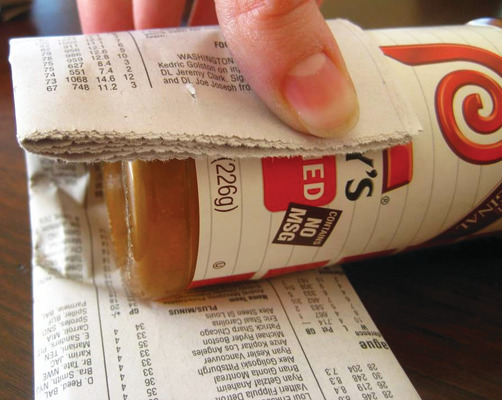 Layer several pages of newsprint and cut strips slightly longer than jar. Roll and wrap paper around bottle with overhang at bottom. Tuck and fold bottom edges against bottle. 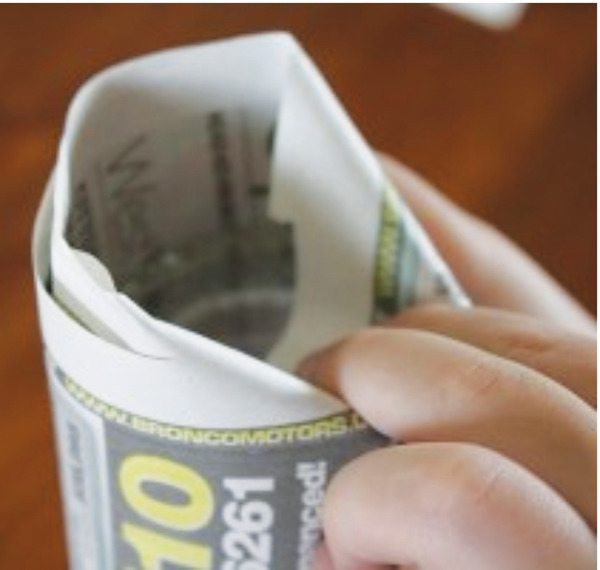 Compress folds in place by rubbing against a hard surface to crease newsprint. Remove bottle and fold top down to desired height. 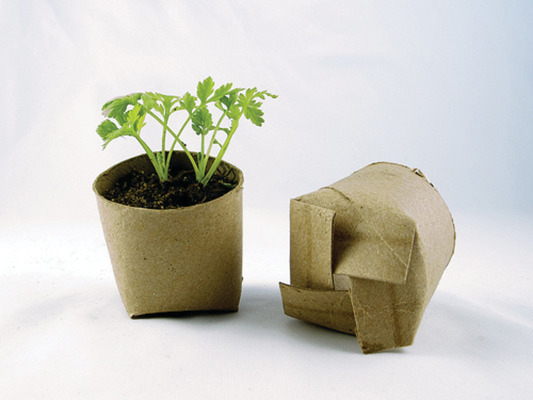 Easily installed with a few layers of newsprint placed directly on the soil. Simply cover with mulch and say goodbye to pesky garden intruders. Since the newsprint will decompose over time, freshen as needed. Eco-designer, author and columnist, Linda Bodo’s take on sustainability is hip and humorous. A prop designer and upcycle devotee for decades, Bodo skilfully ensures that her objects are not only eco-conscious, but also exquisite in their craftsmanship. Contact Linda directly at absolutebodo@telus.net to receive a copy of The Art of Upcycle at a 40% discount for all teachers and visit www.absolutebodo.com for more upcycled projects. Some projects included in this article have been posted on the website.